Corks were popping here at Primo when we heard that legendary wine critic and long time Primo supporter James Halliday had included our JOSEPH Sparkling Red in his 100 Top Wines of 2011. Halliday writes: 'This is a very complex wine that invites the second glass as the multi-spice flavours run across the palate, 95 points.' Thank you James, we'll raise a glass to that! Tony recommends pairing Zamberlan with rosemary lamb and we agree! Click here to buy 2011 JOSEPH d'Elena Pinot Grigio. FREE delivery and FREE Primo Estate extra virgin olive oil with each case. The ultimate Italy vs Australia taste test as the new vintage of Primo & Co The Tuscan Shiraz Sangiovese is poured alongside its Australian 'twin' Primo Estate Il Briccone Shiraz Sangiovese. It's new vs old world with two great Shiraz Sangiovese blends, both made by Joe but one is Italian and one is Australian. Will Italy or Australia get your vote? Starting with a glass of the JOSEPH Sparkling Red served in the courtyard with Tuscan style pork skewers followed by a selection of pizzas fresh from the woodoven as Il Briccone and The Tuscan are poured side by side for you to compare. Relax and unwind over a selection of Italian and Australian cheeses as you sample our Primo Estate Zamberlan and finish off with refreshing watermelon slices. A great day of Italian style food and wine in the heart of McLaren Vale wine country. Just $50 per person including food and all wines. This event has now sold out, please email cellardoor@primoestate.com.au to add your name to the waiting list. Make sure you are a member of our Amici Primo mailing list and be the first to know about our calendar of celebration days. Celebrating the launch of our Italian style sparkler Primo Secco with a Venetian Carnevale in the heart of Adelaide. Complementary glass of Primo Secco for the first 100 Amici Primo, Italian nibbles, relaxed house music in the beer garden and winemaker Daniel Zuzolo introducing Primo Secco plus Primo Secco cocktails starting at $8. Come and join the fun, FREE entry for the first 100 Amici Primo to bring this printed page, $10 for non-Amici. 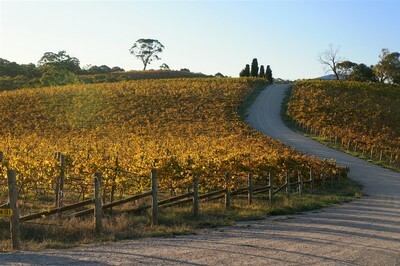 Tony Love has reviewed the new 2011 JOSPEH d'Elena Pinot Grigio on www.taste.com.au. Tony's review is printed in the Adelaide Advertiser, Melbourne Herald Sun, Sydney Daily Telegraph, Brisbane Courier Mail, Hobary Mercury and The West Australian, so every corner of the land now appreciates what our Amici Primo have known all along! The Primo Estate crew has done it again with this PG, now one of the variety's Australian benchmarks, working fruit mostly from McLaren Vale's eastern hills sub-region of Clarendon into a crisp, correct grigio style, tidily steered with subtle florals, poise and balance, and an engaging minerality beside classic white skinned pear, apple and citrus flavours. Superb. Absolutely delightful, bursting with fresh and lively passionfruit and citrus aromas and flavours. Make a point of searching out this current vintage, not older ones.